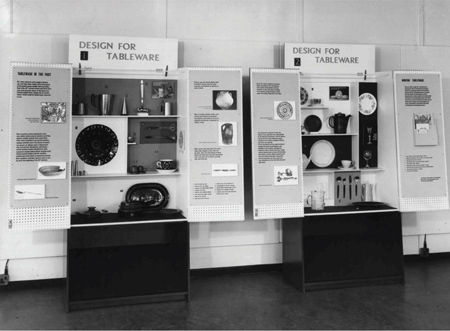 This exhibition traces the development of the Experiment in Design Appreciation, a scheme jointly conceived and implemented by the Council of Industrial Design and London education authorities. The project’s central idea, born in the wake of the Festival of Britain, was to cultivate a preference for ‘good design’ in the ‘consumer of tomorrow’. 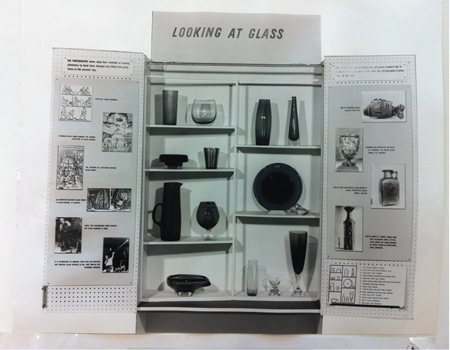 A series of exhibits, comprising of examples of ‘good design’ were circulated in secondary London schools between 1951 and 1977. When the Inner London Education Authority (I.L.E.A.) was disbanded in 1990, the estimated 20,000 collected objects were donated to Camberwell College of Arts. The exhibition locates ‘good design’ as a mid-twentieth century concern and examines how the Experiment in Design Appreciation reflected ideological alignment to modernism in design. While teaching schoolchildren to follow aesthetic canons may no longer be an educational objective, the I.L.E.A./Camberwell Collection remains an extraordinary resource and its role is being re-appraised in 21st century contexts. The display will include archival material and objects representing British and International industrial design, graphics, folk art and studio ceramics from the 1950s to the 1970s.